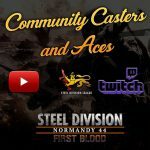 Steel Division: Normandy 44 introduces the Three-Phase gameplay, an inventive combat system created specifically for our new Tactical RTS. Each battle is divided into three distinct stages, with their pros & cons according to the situation and the division you play. The intent being to reflect the build-up process of a huge and unpredictable WW2 military engagement, where one smart commander can turn the tables at any time. With the Three-Phase gameplay, the outcome of a game remains pending up to the end, and you will require every unit at your disposal to win. But no need to rush everything from the very beginning of the battle. According to your play style and the division you have chosen, you can harass the enemy in the early game, gather your forces for a crushing counter-attack later or opt for the many other possible strategies. Every game is a new story. It depends on your mindset. 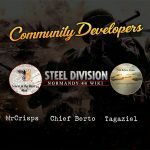 In Steel Division: Normandy 44, no division is unbeatable. They all have their own gameplay. Each game starts with a deployment phase where you position your starting units and give them orders they will apply once the battle is launched. Every unit costs a certain amount of Requisition Points and must, therefore, be chosen wisely. 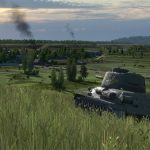 Will you deploy many light vehicles or a single, expensive but more efficient, medium tank? 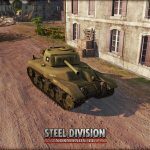 One single (captured) Firefly, a medium tank, is available in Phase A if you play the 12. SS-Panzer: although very powerful, it can be outmaneuvered & overrun by lighter units! The two first phases of the battle, A & B, last ten minutes each whereas phase C stretches to the end. Each new phase unlocks a new set of units from your deck and grants you a better Requisition Points income, which you receive every minute. Units availability and incomes are different for each division, entailing a unique way to play for each one. 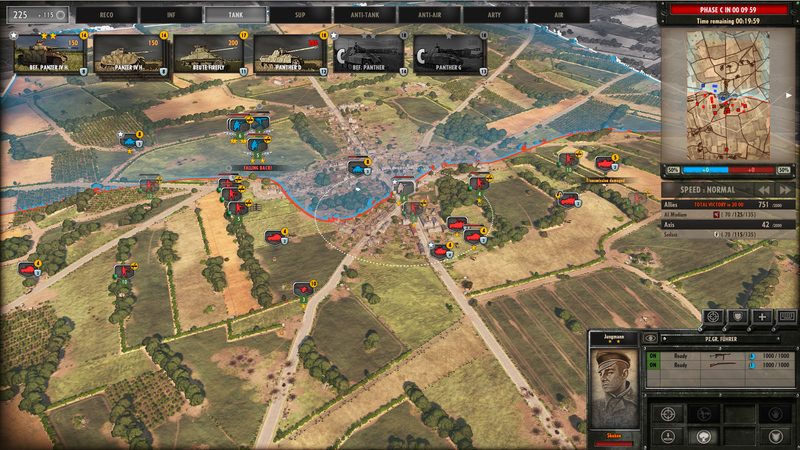 The Three-Phase mechanic was designed to mimic the pace of historic battles and add to the game’s realism. In phase A, players seek contact with their opponent, try to locate the enemy’s key units all the while striving to hide their own. While recon units scout the area, the first clashes occur for control of strategic spots. The first anti-tank and artillery units take position and infantry settles in towns, all waiting for the breakthrough. The battle rises in intensity with Phase B and reaches its climax with Phase C. As mentioned above, each division has its specificities, but every one of them gets stronger units with each new phase. The way you call in your reinforcements throughout the game reproduces the buildup of military forces in Normandy after D-Day and confronts you to accurate logistical concerns. As time goes by you will have to secure the line, waiting for reinforcement, as well as regularly supply your units with ammunition. Phases also provide a sense of momentum and give each battle ebb and flow. Players can feel what it’s like to cling to a position, overwhelmed by a superior enemy while desperately waiting for backups to arrive. The countdown to the next phase being visible to all increases the battle intensity. The transition to a new phase breaks the monotony and brings a new dimension to the fight. 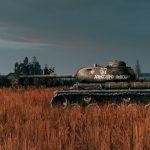 Nothing in Steel Division: Normandy 44 is a foregone conclusion, even a bad situation at phase A can be turned around afterward when proper units get unlocked and cleverly deployed. 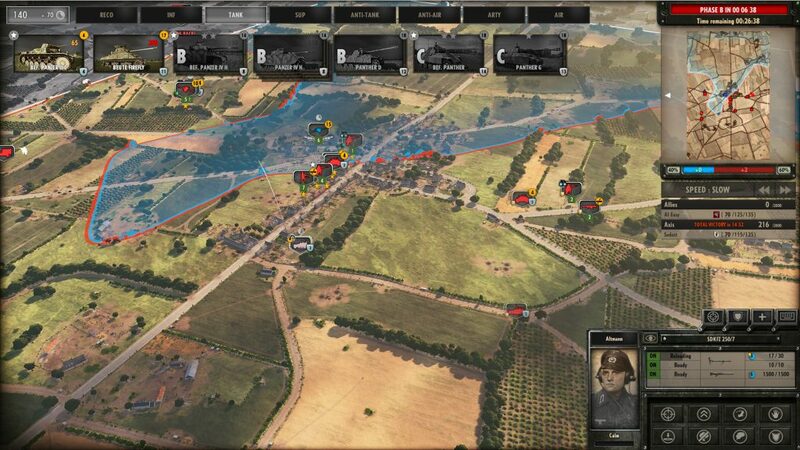 The Three-Phase mechanic and the fact that some divisions are powerful at the beginning of the game whereas others build up in strength mostly from Phase B or C force players to always remain vigilant. It ensures unexpected twists and breathless rhythm up to the end. Depending on the division you select, the choice of units you can call in at each phase will be different, as well as the income bonus you will receive every minute. As Game designer Félix ‘FLX‘ Habert puts it, “The phases gameplay is a great tool for both game flow and balance. With the individual economy, unit prices and availabilities, we have all the tools needed to create an asymmetric balance and an individual flavor for each division”. The 12. SS-Panzerdivision has, for instance, elite commanders drawn from veteran Eastern Front divisions, but a mostly inexperienced infantry because the vast majority are untested soldiers. 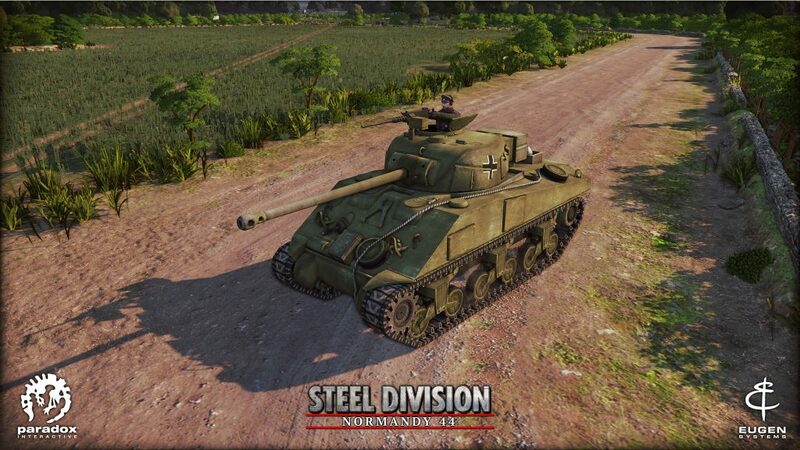 Players can also find the single British Firefly historically captured by the division’s Aufklärung-Abteilung (recon battalion) in Normandy. As for the 6th Airborne Division, players can deploy elite para units, airborne light tanks, and marine artillery starting from phase A because they were the first to land on the night of 5th to 6th June, but they have to wait until phase B and C to deploy in number and get access to their heavier equipment arriving with later airlift or from the beaches. True to its emblem which depicts a running greyhound (‘Windhund’ in German), the 116. 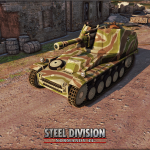 Panzerdivision owns phase A with fast light vehicles and light tanks. 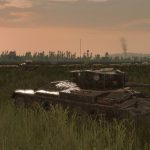 “These tanks were actually training tanks, some from armored school, that the division had ‘retained’ against regulations to beef up its strength“ according to Matthieu ‘MadMat‘ Brevet, producer and History expert at Eugen. Theoretically organized as a US armored division, the Free French 2e Division Blindée brought some “personal changes” to its organization, such as the addition of an organic Wolverine battalion or a focus on light tanks and armored cars. Giving all it has in Phase A, it gets progressively outclassed in Phase B & C, due to a lack of high-end equipment. The application of three distinct stages involves a wider range of tactical choices. The Three-Phase distinction is displayed from the battlegroup creation menu, informing the player in which phase each unit can be deployed. The player, therefore, has to plan in advance the way he wants to play throughout the three phases to make his first strategic decisions: his choices will not only shape the number and type of units he will have on the battlefield but also the pace of the battle. 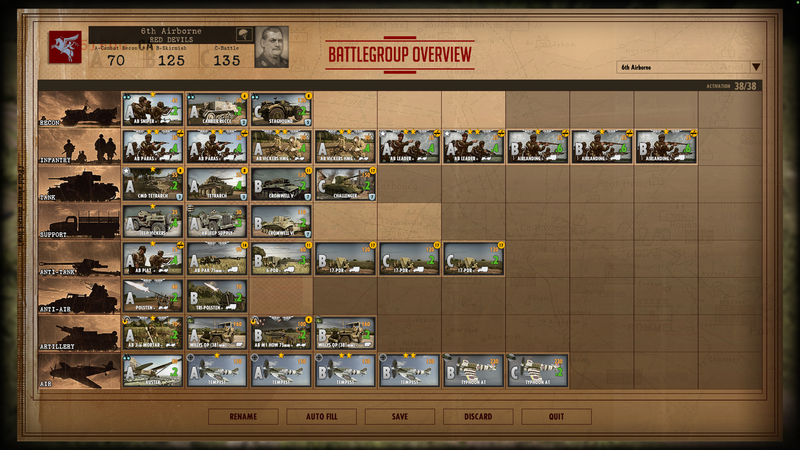 As far as possible, we advise you to make sure you have the most diversified battlegroup at each phase. It would be much more difficult to win if you spend an entire phase with no AT or no artillery for example. Each category of units is decisive for you to overcome your enemy. The way you play will be shaped by your own division’s gameplay, but you will also have to adapt to your opponent’s choice. Your tactic won’t be the same whether you play against the 2e Blindée which is very aggressive in phase A or against the 12. SS-Panzer which gradually build up its strength. Keep in mind that yours and your opponent’s income for each phase are always displayed in the upper-right corner of your screen. Regarding your Requisition Points, use them wisely as they take a certain amount of time to regenerate. You can always save some for future phases but you would be running the risk of getting outgunned by the enemy. The Three-Phase gameplay comes from many inspirational materials and ends up being a combination of research and real experiences. We also learned a lot from our previous games. In R.U.S.E‘s “Total War” mode, the idea was to unlock technologies over time (from 1939 to 1945): players had to choose carefully the units they deploy & technology they researched as each of them had a cost and could become obsolete. Our new mechanic enables to avoid some of the flaws we encountered in Wargame. Hence, with the Three-Phase gameplay, rush tactics is no longer an issue. All these inspirations fed our work and led us to build a mechanic which we hope will bring a new perspective to the RTS genre, with more tactic and more thrill. ya awesome is right, been playing wargames for 45 years now and it looks like this is the one !!!!. I have all of the wargames but Red Dragon is my favorite with over 3000 games played. for now got to be patient until this game comes. It will be great successor to R.U.S.E!